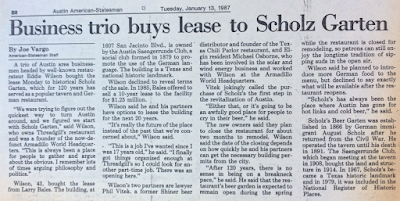 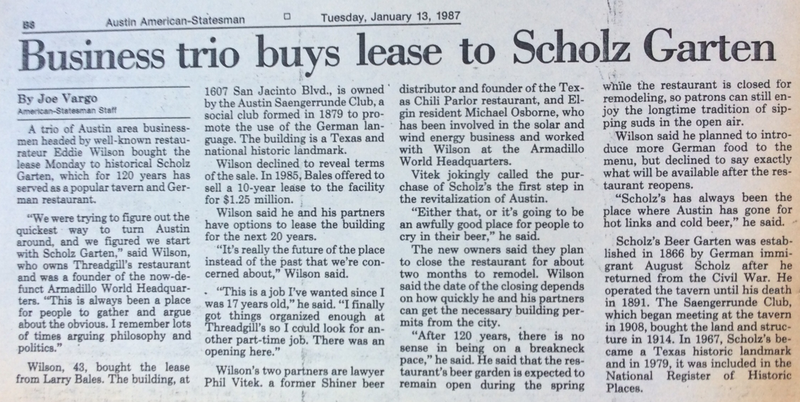 Back in 1987, Eddie Wilson, Michael Osborne, and Phil Vitek bought the lease at Scholz Garten from Larry Bales. 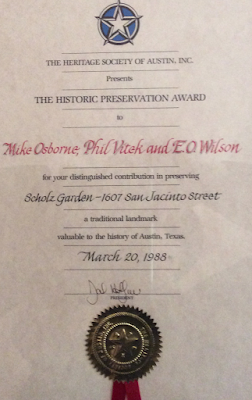 The restoration won the Historic Preservation Award from the Heritage Society of Austin. Although Wilson and Osborne have been long gone from the joint for years, the award winning restoration remains.